The launch of NASA's second Orbiting Carbon Observatory, under construction to replace a satellite lost in 2009, will be delayed at least one year after the space agency terminated an agreement for the carbon-tracking mission to lift off on a Taurus XL rocket, officials said Friday. Officials with NASA and Orbital Sciences Corp., the Taurus XL contractor, told Spaceflight Now the arrangement to launch OCO 2 in February 2013 was canceled earlier this month. Mike Curie, a spokesperson at NASA Headquarters in Washington, said the agency and Orbital Sciences agreed Feb. 2 to a bilateral contract modification leading to a "termination for convenience" of the Taurus XL launch contract for the OCO 2 satellite. The parties "came to an understanding to no longer pursue the launch of OCO 2 on a Taurus XL," Curie said. 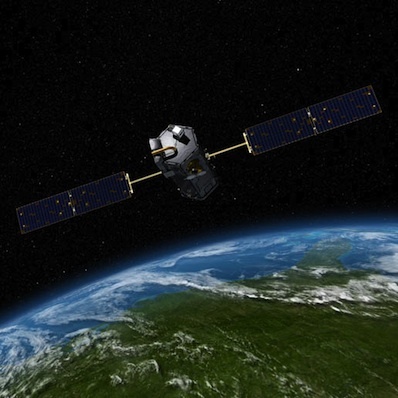 NASA released a multi-mission request for launch service proposals that included OCO 2 on Feb. 3, according to Curie. All rockets covered by the NASA Launch Services contract are eligible to compete to fly the OCO 2 spacecraft. Once officials select a new rocket for OCO 2, Curie said NASA expects it will take about 27 months to launch the satellite. The timetable means OCO 2 will likely be grounded until at least mid-2014, more than a year after its previous target launch date. The NLS contract includes United Launch Alliance's Delta 2 and Atlas 5 rockets, SpaceX's Falcon 1 and Falcon 9 launchers, Lockheed Martin's Athena 1 and Athena 2 boosters and Orbital's air-launched Pegasus XL, which is too small to loft the 972-pound observatory into the necessary 438-mile-high orbit. The Minotaur rocket, which is powered by government-owned retired ballistic missile stages, could also launch OCO 2. But before NASA selects the Minotaur for a launch, the agency must prove there are no commercial alternatives available. The Secretary of Defense must ultimately authorize the launch of a NASA primary payload on a Minotaur rocket. While NASA holds another competition for OCO 2's launch, integration and testing of the satellite will continue, officials said. Orbital Sciences is building the spacecraft in Dulles, Va. 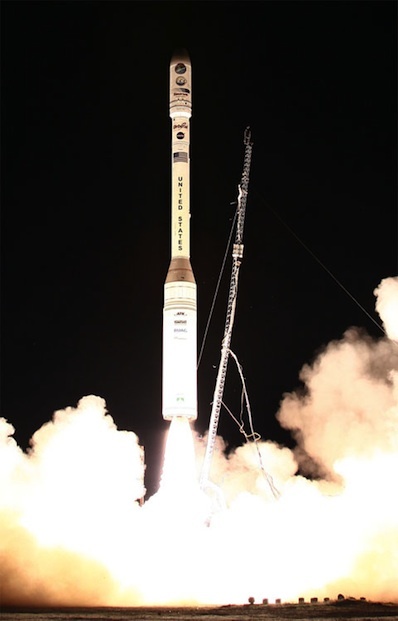 Designed to map carbon dioxide emissions from broad swaths of the planet, the OCO 2 mission was approved in 2010, less than a year after its predecessor was lost in a launch failure on another Taurus XL booster in February 2009. OCO 2 will identify carbon sources and sinks, places where carbon dioxide is emitted into the atmosphere and absorbed by oceans and plant life. Scientists say such information is pivotal to updating models of the carbon cycle and predicting how greenhouse gases will affect the climate in the future. An investigation into the Taurus mishap in 2009 found no definitive root cause of the failure, but engineers implemented several recommended changes to the Taurus payload fairing separation system, which failed to jettison the shroud during launch of NASA's first Orbiting Carbon Observatory. In its first mission since the OCO launch failure, the Taurus XL rocket suffered an almost identical anomaly in March 2011 when its payload fairing stayed attached to the booster after it was supposed to separate, dooming another NASA climate research satellite. The failures cost NASA a combined $697 million. The Taurus failure last year led NASA officials to rethink the agency's use of the solid-fueled launcher. Flying another NASA satellite on the Taurus XL would require the rocket be recertified, a lengthy and costly process that still may not yield a reliable launch vehicle, according to agency leaders.